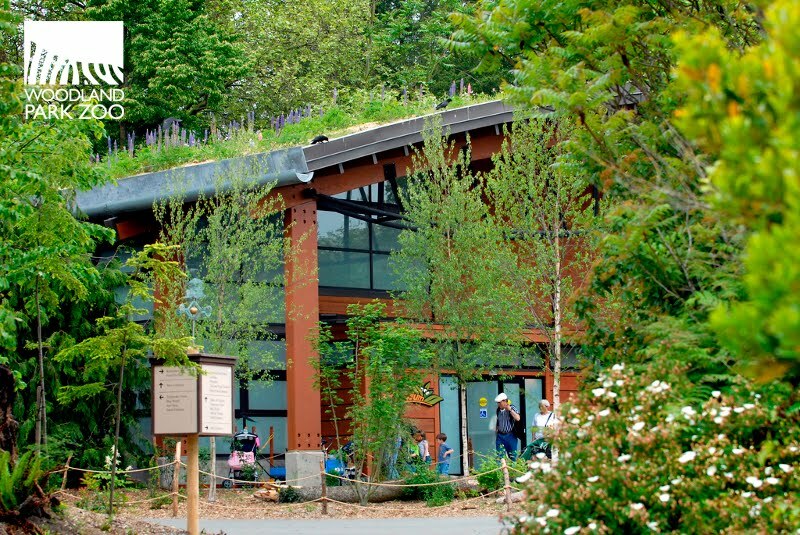 I was very excited the day that Forterra, formerly Cascade Land Conservancy, invited Woodland Park Zoo to become a founding partner in their new Carbon Capturing Companies (C3) program. That partnership was announced today at Forterra’s annual breakfast. As a zoo employee and member of our Green Team, an active conservationist, and someone who’s been heavily involved with our WPZ Sustainability Plan and calculating the zoo’s annual carbon footprint, C3 seemed a natural way to partner with 14 businesses and organizations—INCLUDING a famous rock band (Pearl Jam! )—to help make our region greener while offsetting our annual carbon emissions by planting trees in our region. Companies and organizations who want to reduce their carbon footprint—and its effects on our region—are encouraged to participate by joining the C3 program. What’s the carbon cost of doing business? Photo by Ryan Hawk/Woodland Park Zoo. After joining, the organization calculates their annual carbon emissions, using any one of a number of carbon calculators on the web today. 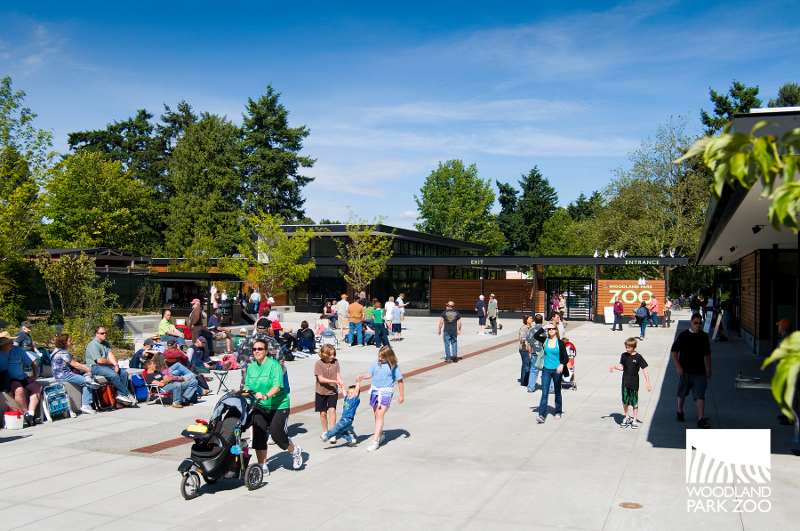 Primarily, the zoo uses the Seattle Climate Partnership calculator (we’ve been a member of SCP since 2006) and occasionally other online calculators. Zoomazium’s green roof is one of many sustainable efforts around the zoo. Photo by Ryan Hawk/Woodland Park Zoo. The company or organization then works to reduce energy use/carbon emissions in the areas of their business that they can affect. For example, the zoo is involved in a number of reduction strategies per our Sustainability Plan to help reduce our footprint. 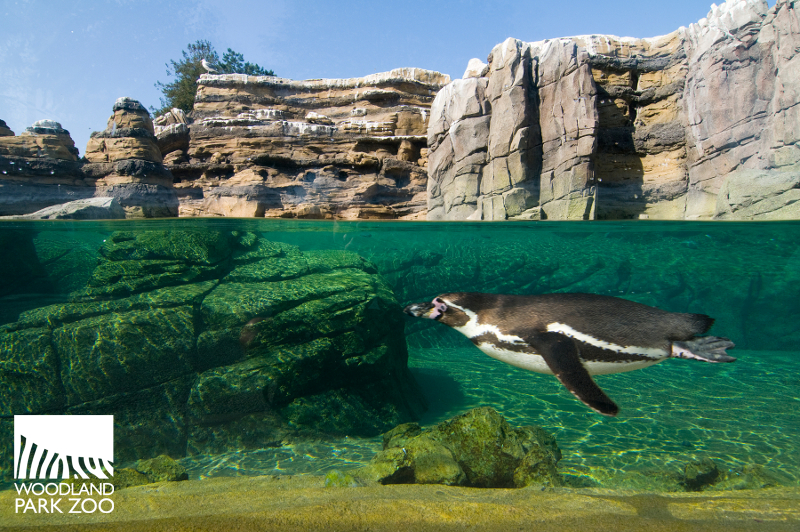 For starters, we now build more sustainable exhibits like the LEED Gold certified Zoomazium, and the penguin exhibit that biofilters its own water to reduce waste. We have also installed solar panels to run our carousel to reduce our electrical use, and we compost and recycle extensively. A penguin swims in clear water made possible by green technologies. Photo by Ryan Hawk/Woodland Park Zoo. Then, when the organization or company has reduced their footprint as much as they can, the remainder (or a portion of the remainder) can be “offset” by purchasing offsets that will balance out the carbon that can’t be reduced. The zoo decided to offset the emissions from the use of natural gas for heating our Tropical Rain Forest exhibit and for emissions from a holiday event coming up later this year. 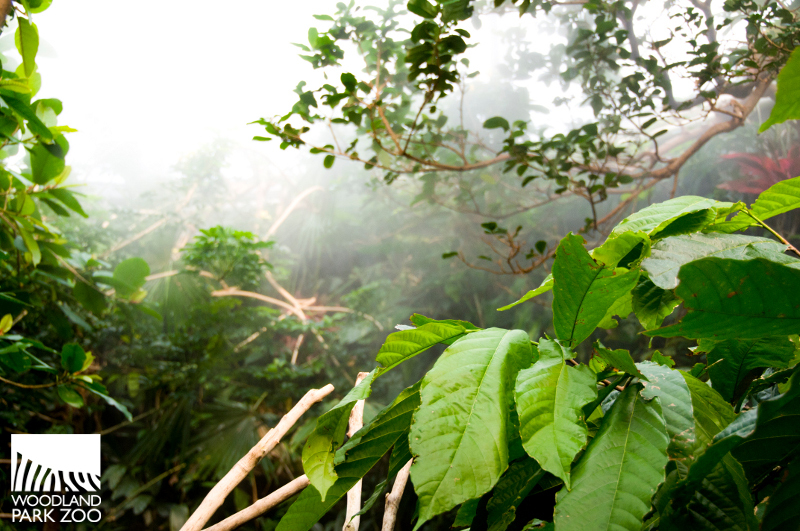 Mist shrouds the zoo’s Tropical Rain Forest exhibit. Photo by Ryan Hawk/Woodland Park Zoo. The offset purchase price then goes towards purchasing young conifer trees (Douglas fir, cedar, hemlock) that will be planted in our region—in parks, urban spaces and natural areas. By their 100th birthday, each of these trees will have absorbed up to 14 tons of carbon, which makes it an efficient means of carbon offset. Members of C3 can even volunteer to help plant these trees—creating a great volunteer outing where employees can get their hands dirty and feel good that they are helping their employer reduce their impact on the planet! 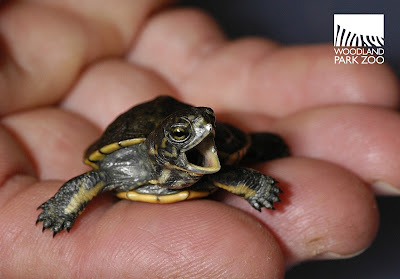 A western pond turtle hatchling. Photo by Ryan Hawk/Woodland Park Zoo. In addition to participating in C3, and working at reducing our footprint in accordance with the zoo’s Sustainability plan, we are also actively involved in many conservation programs that help save species and protect habitat around the world and right in our backyard, the Pacific Northwest—from western pond turtles, to grizzly bears to silverspot butterflies. We believe our involvement in these approaches makes for a winning combination! This is an exciting partnership! Glad to see the zoo taking this step. Give Ten for Tigers: You did it! Wonderfully Wild Wednesday: Whose claws?